Do not peel fruits but remember to wash them carefully.Throw cut in cubes apricots and apple (without seeds) into the pot with a thick bottom. Add sugar, vinegar and cook until tender.Stir frequently.Remove seeds from chilli pepper and chop it. Chop onion and garlic. Fry onion for about 6 minutes. Add garlic, chilli and grated ginger to the pan and fry for about 2-3 minutes. Mix pan content with apricots and cook for 15 minutes. Now you can add some salt and cinnamon. 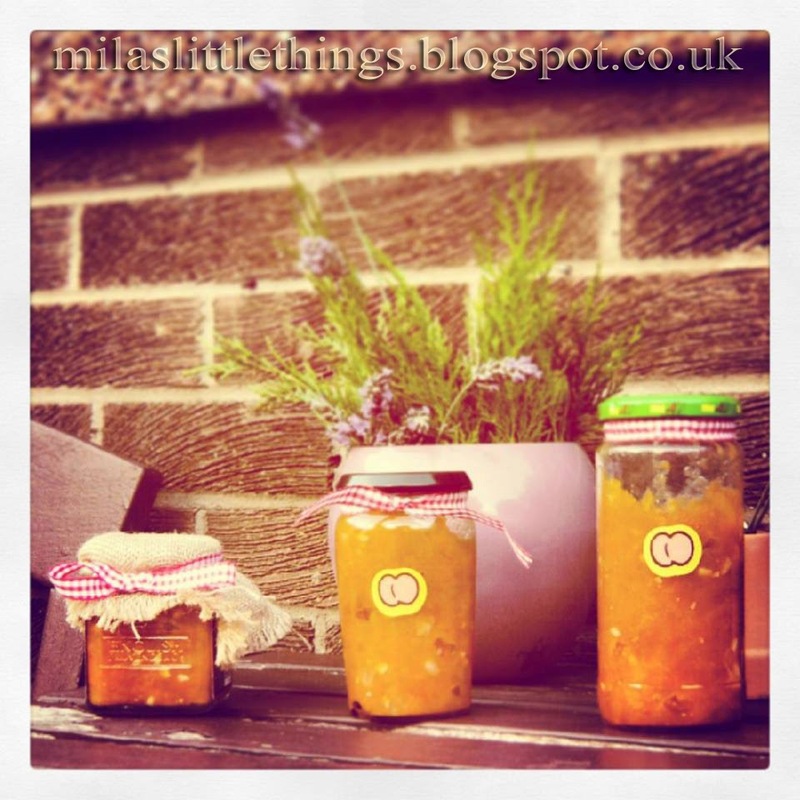 Apricot chilli chutney. Delicious fall recipe. Mila’s Little Things fall recipes series.